Time really fly, didn't realise that my last action in the stock market already a couple of months ago. Also, due to my busier work schedule, I have watched fewer movies in the past few weeks/months, my last movie is Mission Impossible 5. I am not really into politics and hence couldn't care less on the upcoming GE too, but I will still do my part and vote wisely. Directed by Baltasar Kormákur and starring Jake Gyllenhaal, Elizabeth Debicki, Keira Knightley, Jason Clark and Josh Brolin, it definitely looks promising to me. Oh, by the way, it will be in IMAX 3D too. You shifted your targeted entry price? I want to watch everest too. Waiting waiting. Love such movie. 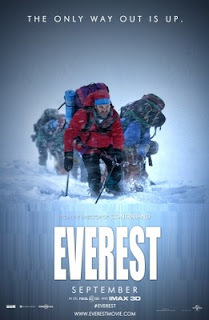 Seems like Everest is the only movie now worth to watch.